I’ve been meaning to do a post on my skincare routine for sometime but I hadn’t yet developed the base of a solid routine. 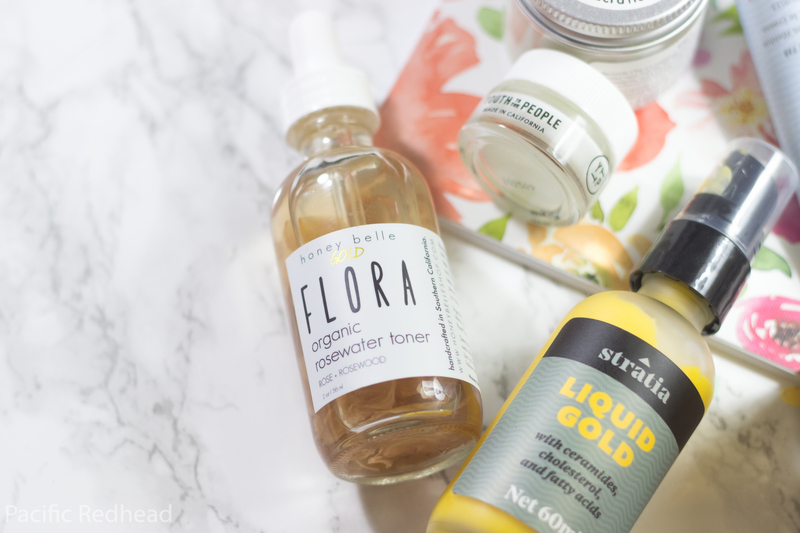 I dabbled in Korean Skincare for a bit and ultimately found myself disappointed with the results with my skin so I took a break and really did research on what types of ingredients would work best for my dry/dehydrated skin. I didn’t want to have to buy a bunch of fails to find the holy grails. I’m going to break this up in TWO PARTS! I don’t want to skip any helpful information nor do I want you to have to read through 3000+ words in one blog post, I don’t want you to hate me after all. 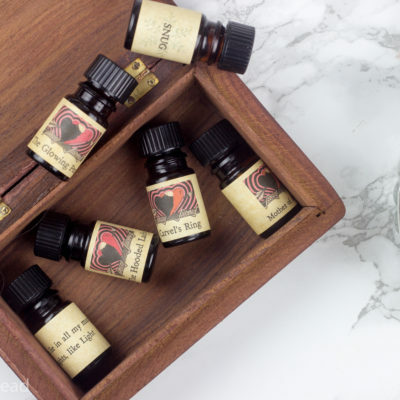 Like those of you who read my blog for information on products I also read blogs, reviews, instagram posts etc to find my products or simple word of mouth. I was lucky enough to go with my friend Lindsay (@makeupsmecrazy on IG) to the Indie Beauty Expo in LA this past Wednesday, January 18th, where there were loads of new to me beauty companies. The best part, most were all natural, organic, vegan and didn’t contain any harmful ingredients. I went with a set budget so I didn’t get too much but I found a few treasures I want to share with you. I was also recommended the First Aid Beauty Cleanser and Stratia Liquid Gold from a friend and got the Youth to the People cream in my Sephora playbox this month. For each product I’m going to list the ingredients and chat a bit about the main ones and why they’re helpful for my skin type and skin in general. 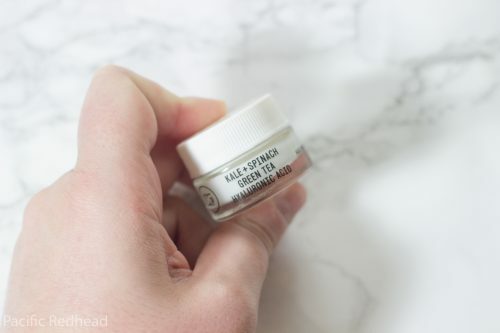 First up, Youth to the People Kale, Spinach and Hyaluronic Acid cream. This product I got in my Sephora Play box for January and it was fortunately so far one of the best items I’ve gotten so far. It is an all purpose face moisturizer cream but I’ve been using it more for my eye and more sensitive areas on my face along with the Stratia Liquid Gold I’ll talk about a little bit later in this post. Youth to the People is a California based company run by two brothers who took inspiration from their grandmother who also had her own skincare line 30 years ago. They were inspired by her vision to but to update it for todays health conscious and informed consumers. They had one vision in mind with their company and that was to use the science based knowledge behind superfoods to create a line for an active lifestyle. All of Youth to the Peoples products are 100% vegan, cold pressed extracts made in the USA, 100% Recyclable packaging, no animal testing, no added color, no fragrance, no Parabens. Kale, is an antioxidant powerhouse that is loaded with high level of phytonutrients, Vitamins A, C, E, and K. Kale keeps your skin looking fresh and dewy. Vitamin A plays a pivotal role in repairing the tissues under your skin and prevents damage caused by free radicals. A diet lacking in Vitamin A can lead to dry and flaky skin. Vitamin K is a powerful ingredient used to help rid your skin of tiresome dark circles under your eyes. Vitamin C helps against the overexposure to the sun and premature aging and keeps your skin looking younger. Vitamin E can reduce wrinkles and keeps the skin youthful-looking. Green Tea, is packed with antioxidants and rich polyphenols. Polyphenols play an important role in maintaining your health and wellness. It helps protect your body from harmful free radicals. Polyphenols are broken down into four categories. Green Tea falls under the Flavonoids category which are fruits, vegetables, legumes, red wine and green tea that have antioxidant and anti-inflammatory properties. Polyphenols help protect your skin against ultraviolet radiation, free radicals, appearance of aging, and inflammation. Hyaluronic Acid, is naturally found in the body, secures moisture, and creates full youthful skin. Hyaluronic Acid is a natural glycosaminoglycan, a type of polysaccharide that are an important component of connective tissue. As we age, skin moisture can drop which makes our skin lose elasticity and start to show the signs of aging on the skin. Hyaluronic Acid is also a smart nutrient as it can pull in moisture absorption rate based on the humidity. One thing to note when picking out a Hyaluronic Acid serum or cream to look for one that avoids using alcohol, parabens, sulfates or other harmful ingredients. You can pick this up for $48 for 2oz + $13.36 shipping (They only offer shipping with UPS if you buy it on their website. It is also 48$ exclusive to Sephora.com and shipping is free if you pay 10$ a year for 2 day shipping or free if you’re VIB Rouge. 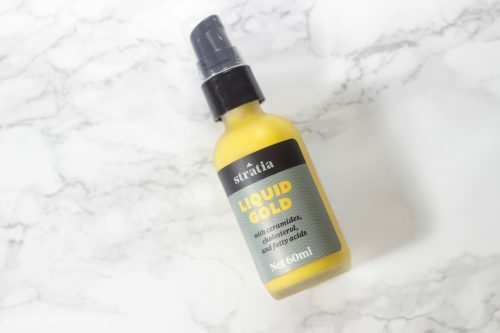 Stratia Liquid Gold with ceramides, cholesterol, and fatty acids. Ceramides, cholesterol, and fatty acids are all part of your skins natural moisture barrier. Your skin is made up of sort of a brick and mortar type structure with mortar being made of ceramides, cholesterol and fatty acids. They keep your skin healthy, clear, and resilient. If this layer is compromised you can end up with flaky skin, sallow or dull, itchy, sensitive and acne prone. So Liquid Gold is formulated with the naturally found ingredients to mimic and help strengthen your natural moisture barrier. I’ve been using this product for 2 days and no lie, it has already helped. I promise you I am not jerking your chain and I won’t get any money if you go and buy this. My skin has a glow to it I haven’t seen in so long. It is fresh, plump and soft. It is exactly what my skin has been needing to finish off my routine. I have to thank my friend Kat for suggesting this to me. You can pick this up for 24$ for 60ml + shipping. Honey Belle is owned by a husband and wife team in Southern California and they were on of the brands I had a pleasure of meeting at the Indie Beauty Expo in LA week. 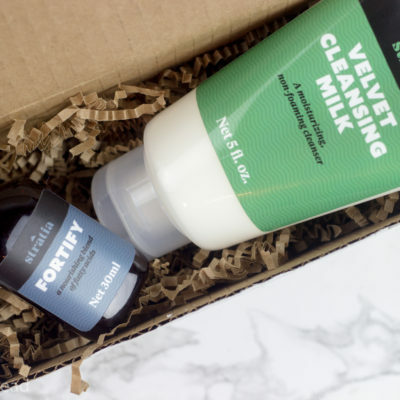 Their products are what convinced me to get back into my skincare routine. 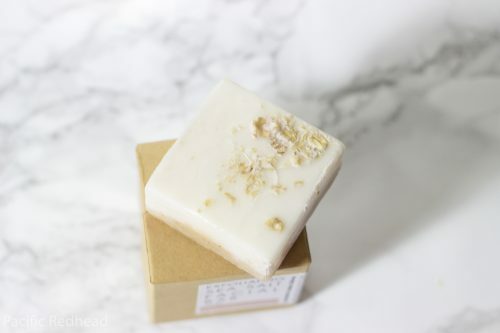 The creation of Honey Belle started when owner Iris’s mother began to develop skin irritations and allergies to commercial products, shortly after Iris developed Psoriasis and became aware of what she was putting on her skin. As a college student she realized she couldn’t afford anything that was considered wonderful in the market. Learning about homemade remedies with herbs and knowledge about natural medicine from her mother who is a doctor. For every soap that is purchased one is donated. Organic Rose Water & Rosewood is great for all skin types not just dry like me, cleanses, tightens and tones the skin, diminishes wrinkles and pores, reduces acne, scarring, and blackheads and keeps the skin looking young and healthy. Rose Water contains high levels of Vitamin C, which helps erase fine lines and boost collagen levels in the skin. It also acts as a natural anti-bacterial. Rose Water helps absorb excess oils and tightens the skin. 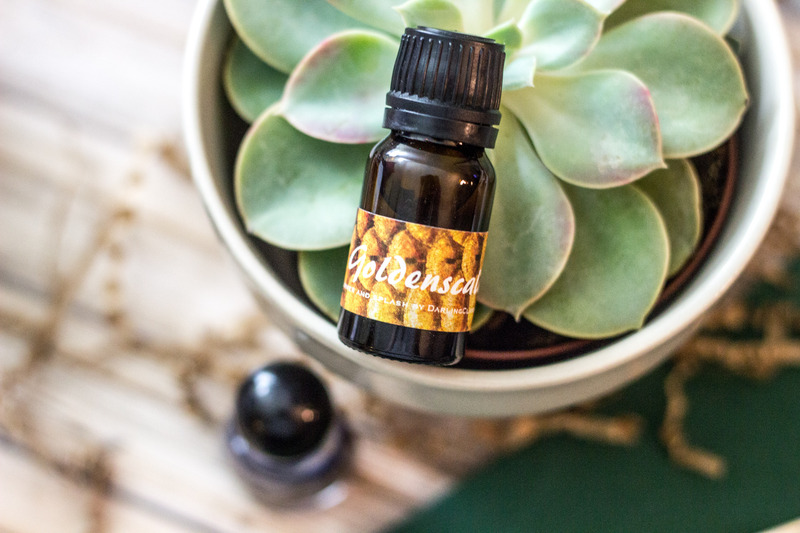 Rosewood Essential Oil helps control the amount of sebum secreted by oil glands and will help prevent scarring on the skin. Rosewood is also a known tissue regenerative that will help prevent wrinkles and premature age spots. 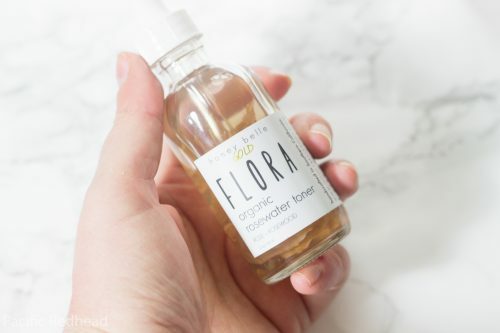 I was originally using a moisturizing kbeauty toner and was unhappy with the lack of results I was getting for a while so I just stopped using it. Since last week when I picked this up at IBE I’ve been using it in the morning and in the evening and have noticed a big difference. This really cleans my skin and preps it for my moisturizing step. I definitely notice excess sebum that came out during my cleansing step being wiped away. 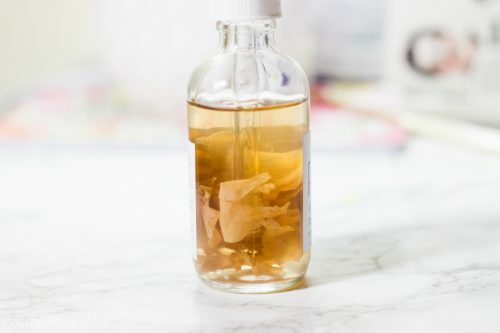 Toners do wonders for oily or acne prone skin or for people who want extra cleansing after wearing makeup or other heavy skin products such as sun screen. Toners will also shrink pores, gives your skin pH balance. Toning can help close pores and tighten the gap in your skin cells after cleansing which will reduce the impurities and other environmental contaminants. Some toners can be humectants which will help bind moisture to the skin. Some toners, such as ones that contain glycolic or other alpha hydroxy acids can help prevent ingrown hairs. You can pick this up in two sizes Mini 0.5 oz 15ml or Standard 2 oz 56ml for either 12$ or 22$, free shipping over 50$ purchase. 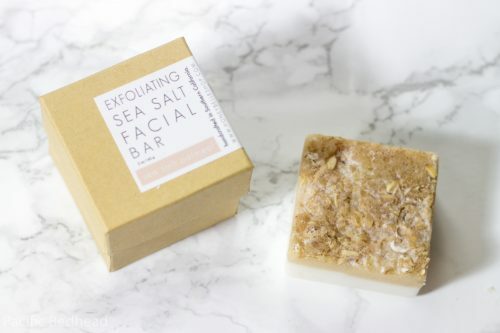 The Sea Salt Oatmeal Facial bar is a layered soap bar made up of oatmeal and goat milk soap with a touch of sea salt and real oats for a gentle exfoliation and will detoxify the skin. Oatmeal is often used as a moisturizing treatment for the skin and a remedy for dryness and itchiness. It will also help soothe any inflammation and the healthy fats in the oats aid in moisturizing and repairing the skin. Goat milk contains natural alpha-hydroxy acids such as lactic acid which will help remove dead skin cells. I use this bar every other day and in the morning time. I try not to over exfoliate my skin and I have noticed a reduction in the pinkness of my cheeks since adding this to my routine. I use a hot wash cloth to open my pores and gently rub my troubled areas followed with the goat milk side to finish off with a rich lather. Rinsing with cold water to close my pores and I follow with the Stratia Liquid Gold moisturizer and the Youth to the People cream which I use closer to my eyes to brighten. 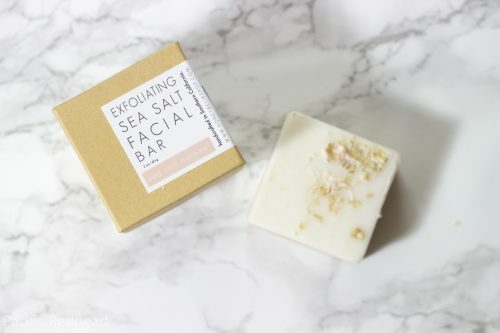 The bar is gentle enough for sensitive skin and they do state on the website it can be used every day because it is a super gentle exfoliant. They also say you can alternate with their tea tree foaming cleanser but I have not personally tried that yet. This bar is approximately 2oz and will run you 6$ + shipping. They do free shipping over 50$. If you’ve made it this far, thank you so so much for reading my blog. I hope you learned something. If you ever have any questions please comment below, message or comment on Instagram @pacificredhead or reach out via the FB page Pacific Redhead Photography. I’d be happy to help in anyway. Stay tuned for PART TWO, tomorrow. Now this is something that we could really use.. Thanks so much..